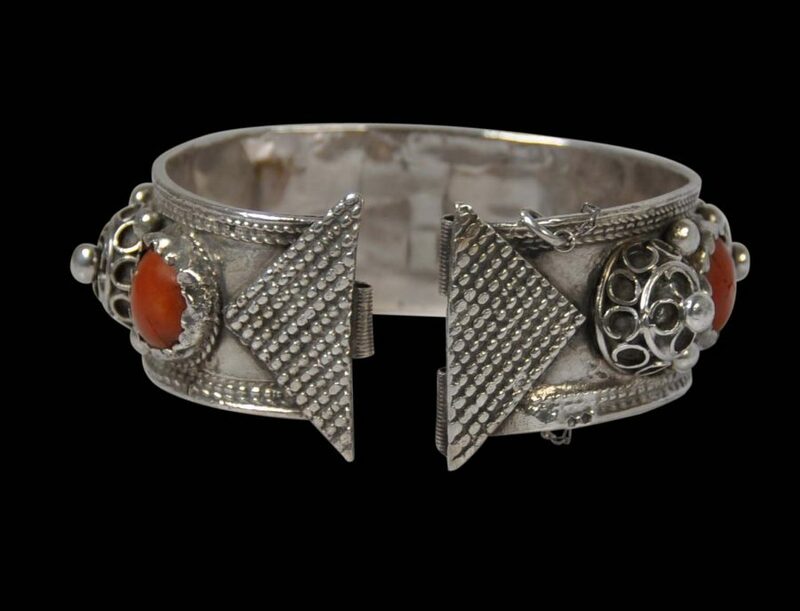 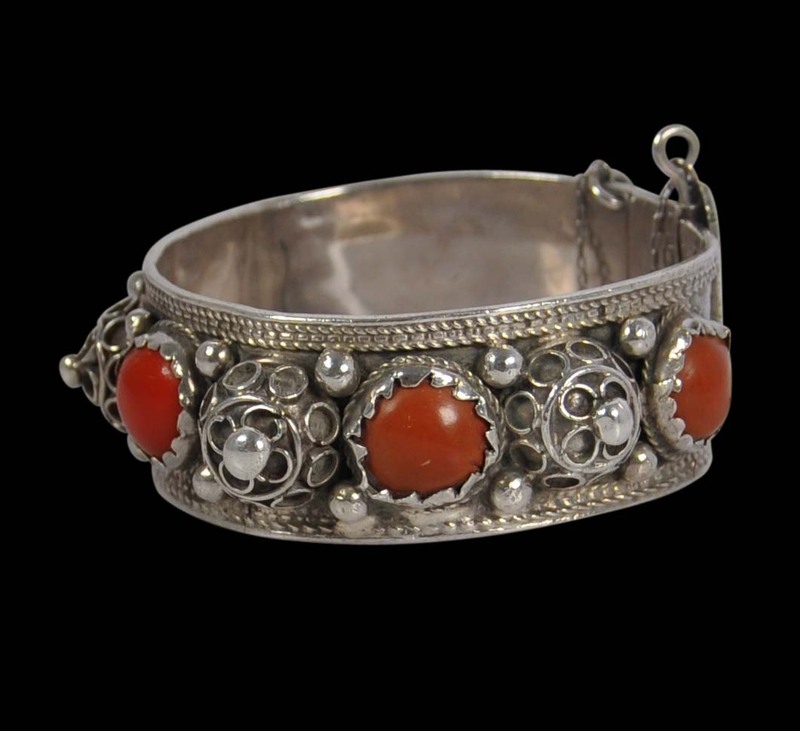 This attractive and wearable hinged silver bracelet is decorated with a multitude or elements: four large, early, coral-coloured bakelite hemispheres in silver box settings, applied granulation work, applied silver filigree work, and so on. The opening of the bracelet is decorated with a large diamond-shaped panel which is decorated with more granulation work. 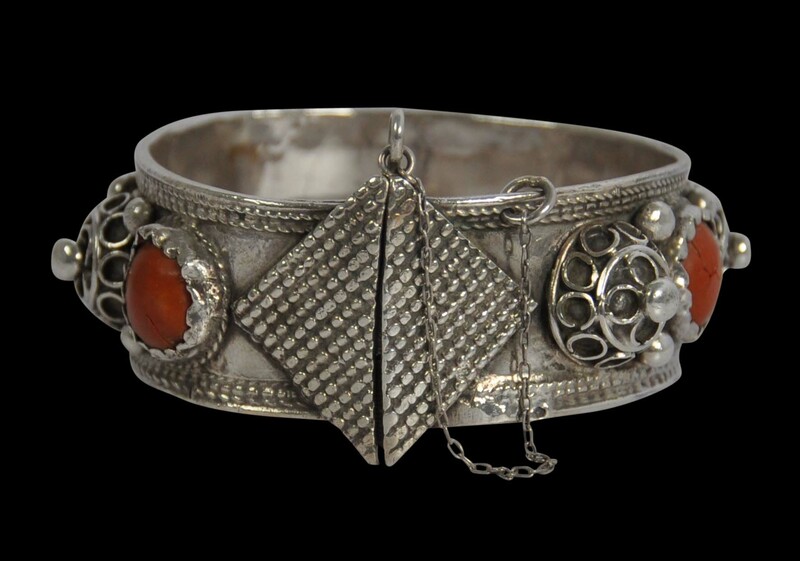 Women by women in Aures mountains and Chaouia adjoining the Kabyle region. 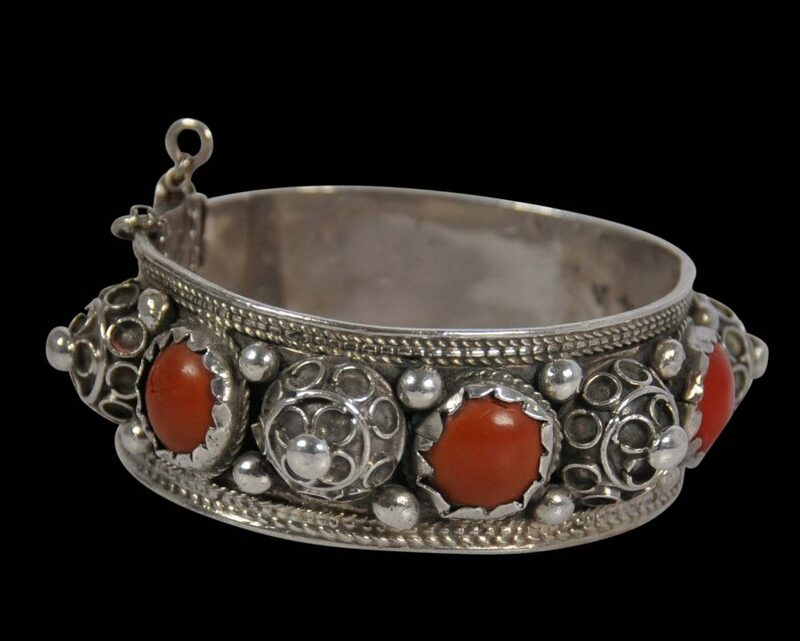 Probably the bracelet was part of the traditional jewellery worn by a bride.